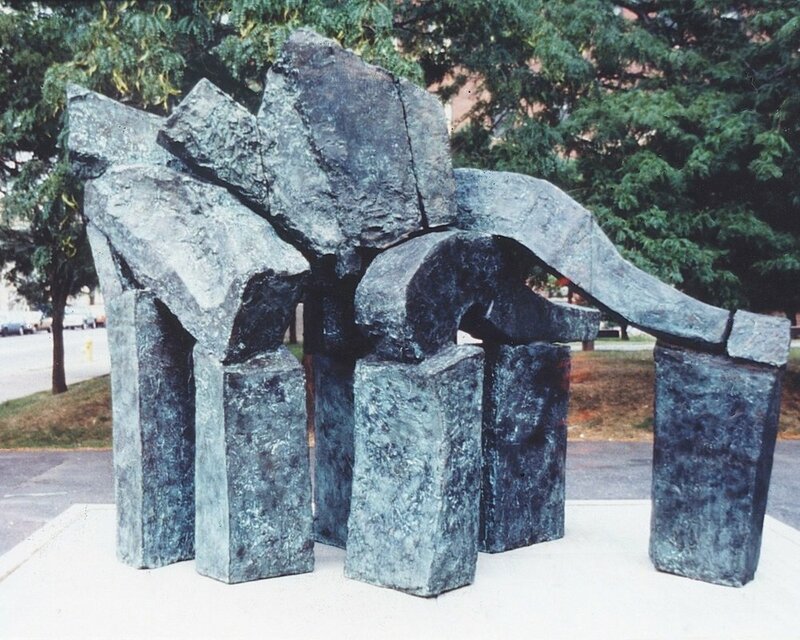 Three monumental sculptures by Reuben Nakian are on public display in the downtown of his adopted hometown of Stamford, Connecticut. Minerva was purchased by the City of Stamford and is now located in Kiwanis Park beside the Palace Theatre. Hecuba, on loan to the Palace Theatre, is located to the left of its park side entrance, and Sea Odyssey, on loan to the City of Stamford, is located in Heritage Park at the rear of the Old Town Hall. In addition, a fourth piece, Leda and the Swan, is owned by the Stamford Museum and Nature Center and located on the Museum grounds near the Bendel Mansion. The City of Norwalk purchased the monumental 1980 Juno and installed it at 50 Washington Street Plaza in South Norwalk.